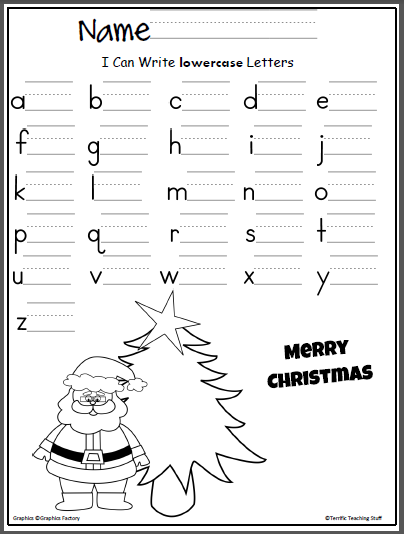 Free Santa lowercase letter writing practice page. Terrific for Christmas and December for beginning writers in preschool and Kindergarten. 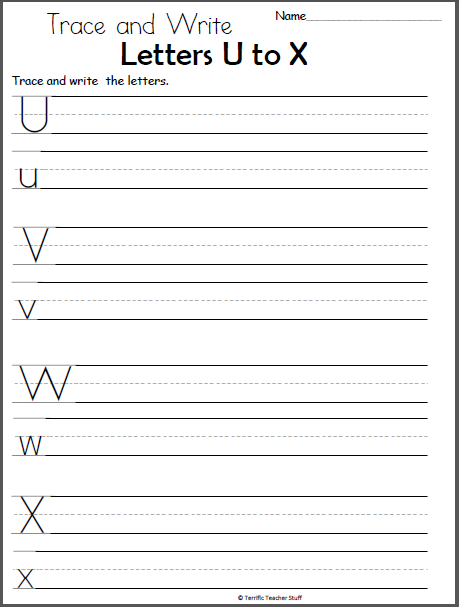 Get the free corresponding Christmas uppercase letter writing page. 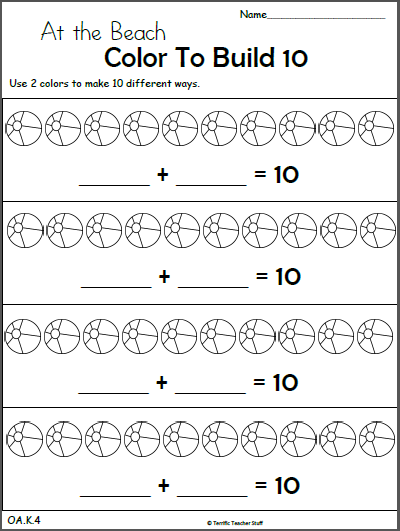 Math pattern worksheet for early learners. 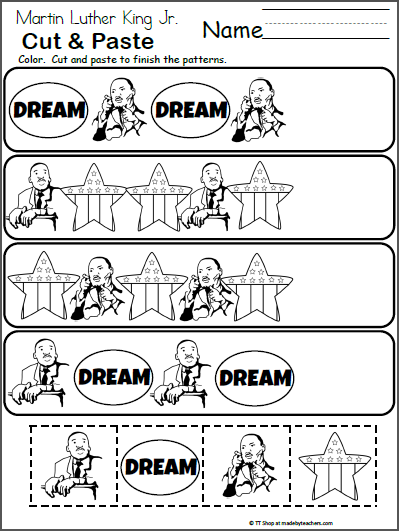 Use when learning about Martin Luther King Jr.